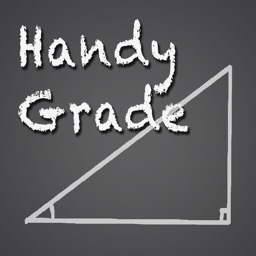 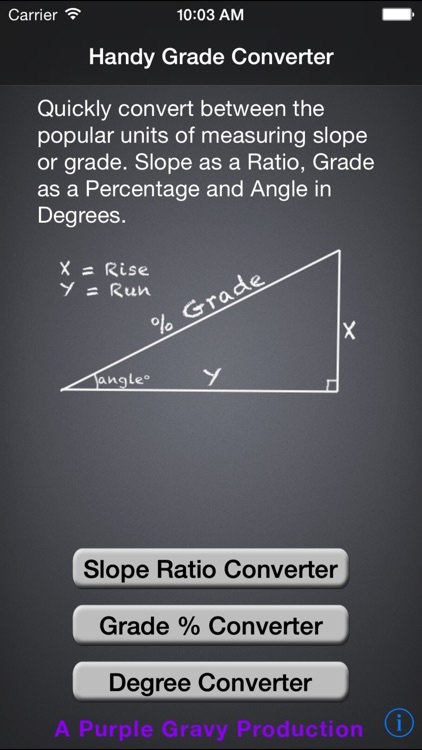 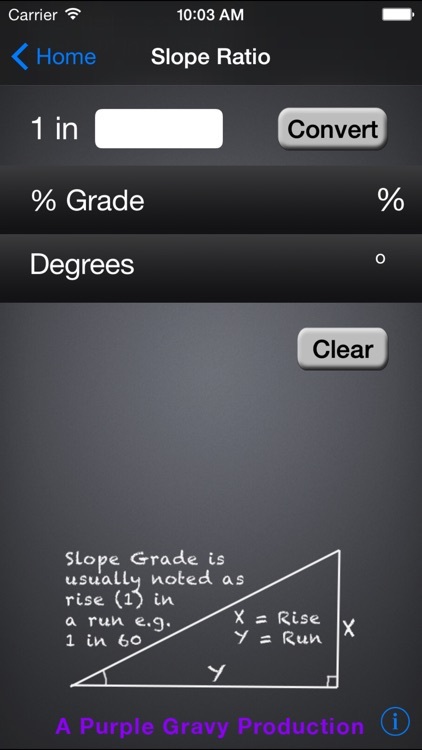 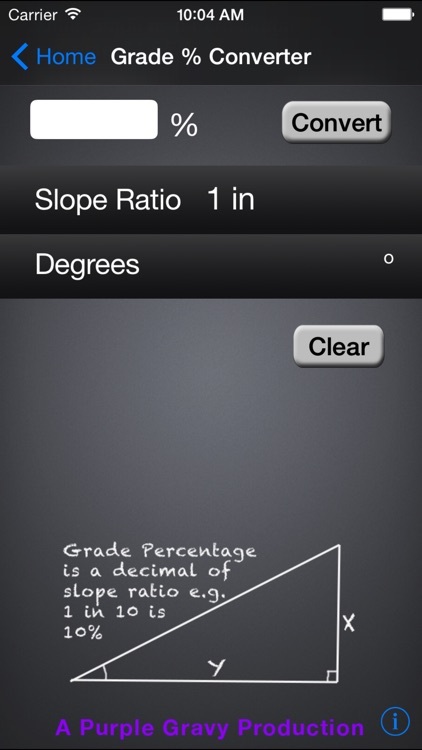 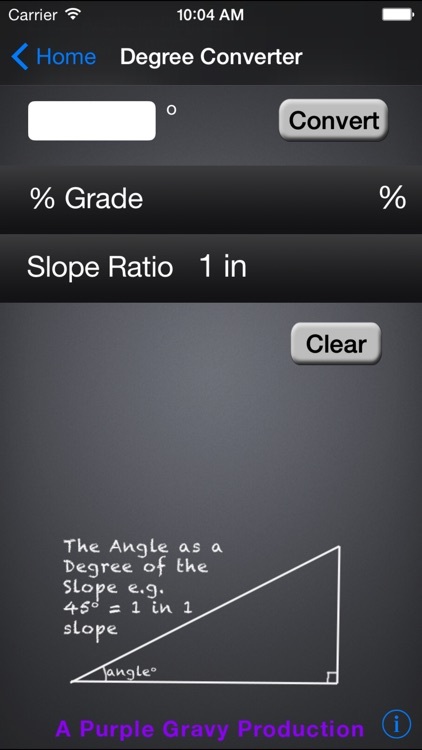 Handy Grade Conversion Tool, Converts between; Percentage Grade, Slope Ratio and Angle in Degrees. 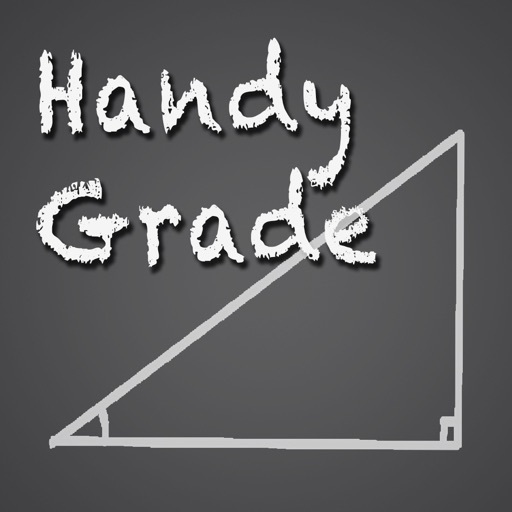 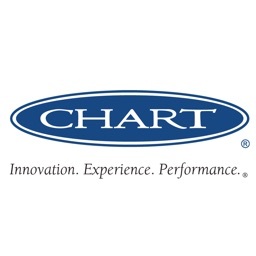 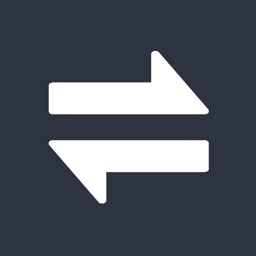 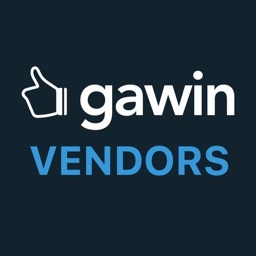 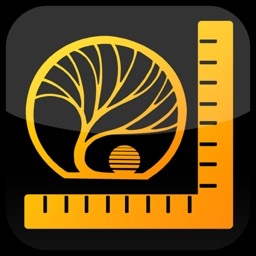 Ideal app for Engineers, Builders and Surveyors who need to quickly convert Grade into different formats. 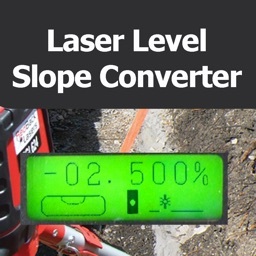 also handy for Earth Movers and Plumbers using electronic grade laser levels and students of engineering and construction.